Home > Training > Puppy > Help! How Do I Housebreak My Puppy? 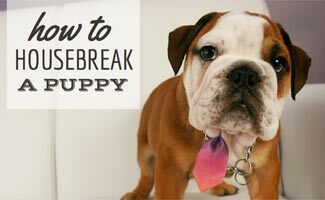 Housebreaking a puppy can be stressful, but it’s also a great bonding experience for you and your pup. Just remember to be patient with her during this process. It’s harder for her than it is for you (even though you’re the one cleaning up the mess). Follow these tips and you’re sure to find success – together! Woohoo! Your just gained a child (that’s what we like to think of our pets as, family) and you’re bringing her home for the first time! It’s such an exciting time for you. but it’s also scary. You may need some tips to know what to expect from her and what you should do to provide a safe environment. 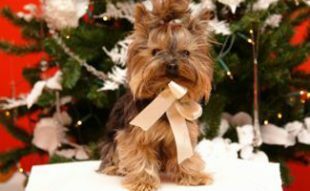 Read about bringing a puppy home to learn what you need for her and other essential need-to-knows. Learning how to house train a puppy can be challenging, but in the end it is rewarding. It’s recommended that you start potty training a puppy when she’s 12 to 16 weeks old. If you follow these steps for potty training puppies correctly, you could have a house trained pup in just a couple of weeks. 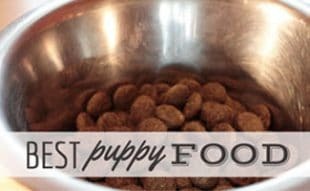 Have a regular feeding schedule for your puppy. 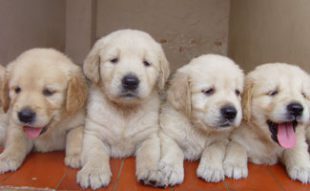 Take your puppy out first thing in the morning and then every 30 to 60 minutes. Also take her outside after meals and naps and before bed for potty breaks. Stay outside with her while you’re trying to house train her. After she goes potty, give her lots of attention and show her she did a great job. Maybe give her a treat or take her for a walk as a reward. What If My House Trained Puppy Has An Accident? So you think you’ve got your puppy house trained, but then she has an accident. What happened to all the success you had? Perhaps one of these reasons is behind the incident. 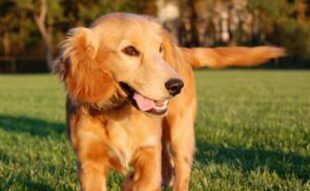 Too Young – Dogs younger than 12 weeks haven’t developed bladder or bowel control yet. House Training Not Complete – She just isn’t quite there yet. She may not know how to tell you that she needs to go out. Regressing is Real – Some puppies fall back in their progress so remember to be patient with them. Many pet parents try crate training with their pup. The idea is that your pup will look at her crate as her safe place. She will consider it her home and will go to it when she needs rest or feels scared from a storm. Because of this she won’t want to go potty in the crate because it’s her home. Read this article to learn more about how to crate train your puppy. How long did it take you to potty train your puppy? I have a pup that was born August 15, 2018. It’s now November 19, 2018,so he’s currently13 weeks old. He was do excellent with going potty out doors, now we’re back at square one. I started confining him once again to his crat. It didn’t seem as if anything else was working. I hope this is ok. Any input?